Rembrandt Pastel Sets- 90 Full Stick Portrait SelectionRembrandt pastels are made from the purest pigments mixed with the finest quality kaolin. They are extremely popular among artists of every skill level. They do not fall apart crumble or powder as easily as many other brands. Colors are intense and offer optimal lightfastness. No heavy metal pigments are used- no cadmium lead or cobalt. 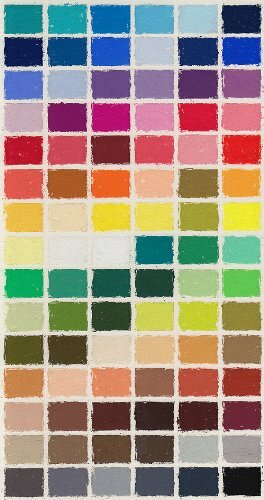 Rembrandt pastels have a firm texture making them ideal for use when a hard line or detail is needed.The colors in this set have been chosen with portrait painting in mind but it is an ideal color selection for any subject. And at 90 full size sticks this is a lot of color for the price!